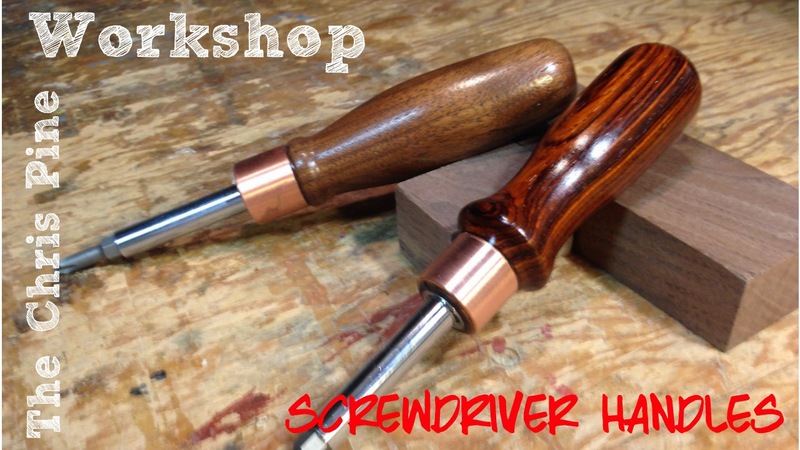 The Chris Pine Workshop: How to make Wooden Screwdriver Handles. 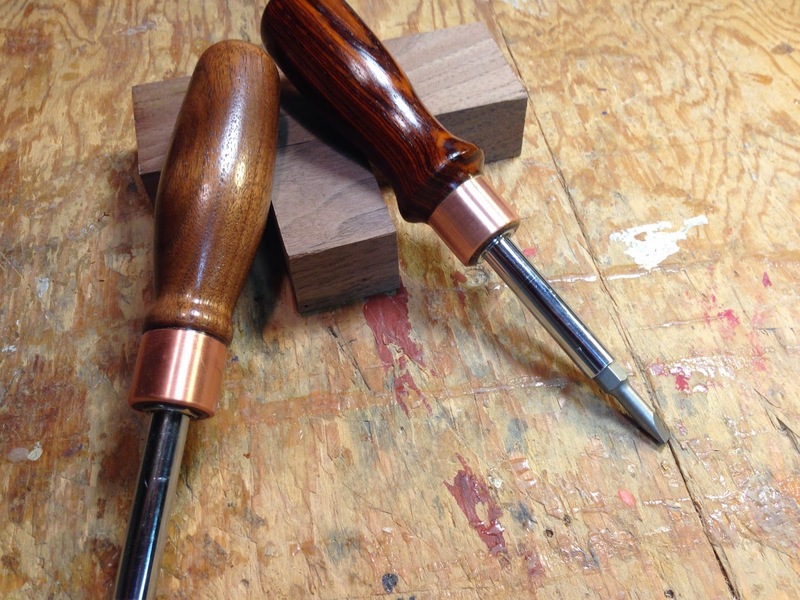 How to make Wooden Screwdriver Handles. 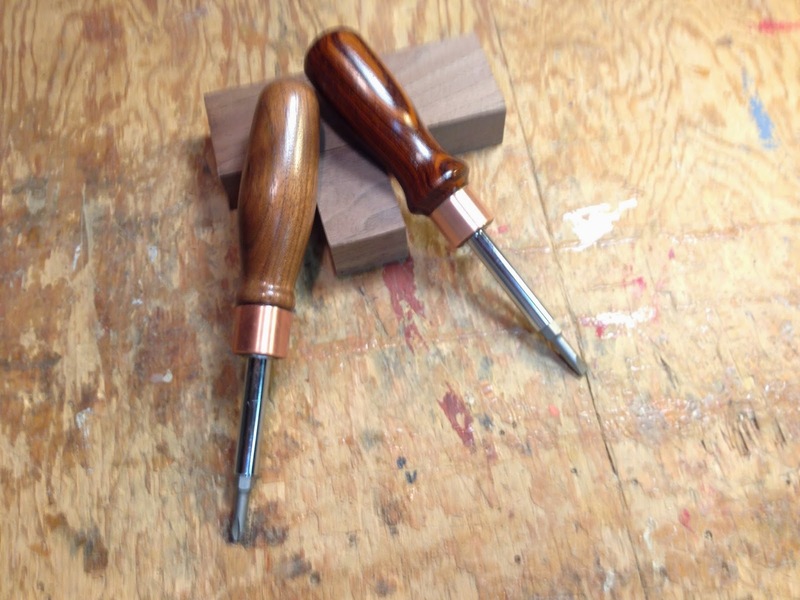 These six in one screwdrivers from Harbor Freight are relatively inexpensive and can be transformed into a very nice tool by making some wooden handles on the lathe. 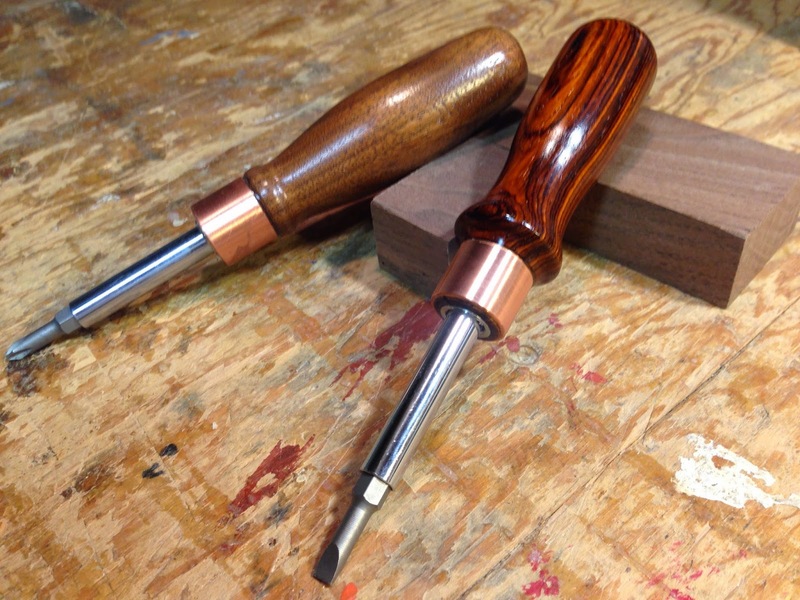 I take these $2 screwdrivers and turn them into Christmas gifts for some family members. The left one is made from Walnut and the right is made from Cocobolo wood. The band or "ferule" around the end of handle is a simple piece of copper pipe. Largest Online Marketplace for all Industrial products and goods helps you discover.Buy Machine tools and Power tools and industrial equipment online, Hand Tools, welding machine. TheChrisPineWorkshop. Awesome Inc. theme. Theme images by andynwt. Powered by Blogger.